The result of the most personal selection of grapes from our Finca El Estanque vineyard. With exclusive plots for each of our Reservas and vines aged between 35 and 40 years (depending on the variety) we achieve slow, uniform ripening with a perfect balance of acidity, sugar content and aromatic maturity. It is aged for 24 months in new French and American oak barrels. A white wine made with 100% Viura grapes from vines planted over 40 years ago at our Finca El Estanque and harvested manually in early October. It remains for 24 months on the lees in new French and American oak barrels, with periodic bâttonages during the first months. Refined in the bottle for a at least 6 months. Straw yellow with golden reflections, with fine aromas of white fruit and citrus, mineral, honey and buttery notes. Expressive and meaty in the mouth, with a fresh, lively, fatty, complex finish. A red wine made with 80% Tempranillo, 10% Graciano and 10% Mazuelo grapes from vines planted over 35 years ago in Finca El Estanque. Picked manually starting in mid October (depending on variety). The wine remains in new French and American oak barrels for 24 months, followed by further refinement in the bottle for another 24 months. Highly intense dark-cherry with a garnet red rim. Aromas of black fruit with notes of vanilla and dark chocolate set off against a spicy, mineral background. Meaty and expressive in the mouth, with a long, elegant, unctuous finish. We all know the regulations of Rioja wines today. Young, Crianza, Reserva and Gran Reserva wines have merged and built that proprietary style which consumers identify as Rioja. 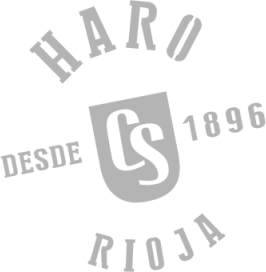 Following the Rioja example, many wine regions have adopted these labels or categories for their wines with the sole purpose of setting this classification in the mind of consumers. It is also true that, less than fifty years ago, wineries, particularly historical eighteenth-century firms like Carlos Serres, used a different nomenclature to reflect the character of their wines and the length of their stay in the winery. So, there used to be Carlos Serres ‘Segundo Año’, ‘Tercer Año’ and ‘Quinto Año’, categories denoting wines in their second, third and fifth year which, years later, migrated to what today are known as Crianza, Reserva and Gran Reserva. Onomástica Segundo Año is a way recovering this wine heritage of our brand, putting on the table a wine in a more modern style, with more fruit. Onomástica Segundo Año is a wine from our limited-production vineyard, Finca El Estanque. It is made with Tempranillo and Graciano grapes and aged in barrels for 12 months while maintaining its fruit-forward personality. A wine to drink and enjoy, reminiscent of those wines made in Haro more than half a century ago that became the most widely-recognised and renowned wines of this country.